TX OBSERVER: Anti-Vaxxers are Claiming Victory After Texas Primaries. Will Their Influence Grow? At around midnight on primary night in Dallas, Lisa Luby Ryan was flanked by two leaders of Texans for Vaccine Choice, arms raised, cheering. “We just got a call from Representative [Jason] Villalba, who conceded to us and wished us well,” said Ryan, the far-right challenger to the GOP incumbent. Jackie Schlegel, executive director of Texans for Vaccine Choice, and Rebecca Hardy, its state policy director, wore Ryan campaign shirts and huge grins. “Victory!” they shouted. Schlegel’s feud with Villalba began in 2015, when the Dallas Republican led legislation, ultimately unsuccessful, to eliminate nonmedical “conscience exemptions” for vaccination in public schools. A mother who says one of her kids was injured by vaccines, Schlegel created the now-influential group, which she argues is not anti-vaccine but pro-parental rights. In the months before the primary, members of the group block-walked, raised funds and posted on social media in support of Ryan and other candidates. In February, the moderate-ish Villalba told the Observer the anti-vaxxers were “so insignificant to my campaign … they’re as important to me as the Flat Earth Society.” But he ended up losing his seat by about 6 percentage points — Texans for Vaccine Choice’s biggest win. Whether the group was responsible for defeating Villalba may be less relevant than whether lawmakers believe it was. Representative Sarah Davis, another target of anti-vaxxers, said Texans for Vaccine Choice has “bullied and intimidated” many of her colleagues. She said she couldn’t get hearings on her pro-vaccine bills last session. Meanwhile, the number of vaccine exemptions for reasons of conscience in Texas schools has skyrocketed from about 2,300 — when they were first allowed in 2003 — to nearly 53,000 last year. “I’m worried about the increasing erosion of the number of kids who are vaccinated, and I continue to be worried about a new disease outbreak,” said Peter Hotez, director of the Texas Children’s Hospital Center for Vaccine Development. Six people, all unvaccinated, were infected in a measles outbreak in Ellis County in January, and Hotez warns that a larger outbreak could be around the corner. Sophie is the public health reporting fellow at the Observer. She previously covered health care policy and politics at National Journal in Washington, D.C. You can contact her at novack@texasobserver.org. Since Texans for Vaccine Choice is not truly anti-vaccine, the editor will happily take credit for Villalba’s demise. Nico LaHood states vaccines cause autism despite the fact that he is a Democrat, even though Crooked Hillary Clinton asserts that questioning vaccine safety is akin to questioning the color of the sky or the shape of the Earth. Exonerated British doctor and Vaxxed: From Cover-up to Catastrophe film director Andrew Wakefield predicts there would be mandatory vaccination across the entire country within two years of her election. In stark contrast, the GOP nominee Donald Trump would never allow that to happen while knowing for years that vaccines cause autism – a stance he reiterated in a recent meeting with Dr. Wakefield. This election is too important to pass up, and the American people have just one chance to get it right. The choice between Donald Trump and Crooked Hillary is the same as the choice between vaccine safety and mandatory vaccination. That is the choice of the American people, and the choice is now. Staying home on election day is not an option, nor is voting for a third-party candidate who would support mandatory vaccinations anyway and doesn’t even stand a chance of winning. So there is no waiting and no dawdling – all aboard the Trump Train! Addendum: See full video of Nico LaHood telling his story. Like Green Party candidate for president Jill Stein, former New Mexico governor and Libertarian candidate Gary Johnson has said he supports mandatory vaccination. In an interview with Vermont Public Radio, Johnson said he supports government mandates of vaccines – a stark reversal from a tweet from five years ago. He went even further to say that if the issue of vaccine mandates became a federal one, he would “side with science” and require vaccination as president. Ridiculously, some vaccine skeptics actually said they would vote for Johnson over GOP nominee Donald Trump despite the fact that he had spoken out for years about the dangers of vaccines. He reiterated those concerns both in the second GOP presidential debate as well as in an interview just four months ago. Johnson – in stark contrast – only had a tweet to suggest a somewhat reformed position on vaccines, and now he has even reversed himself on that. Perhaps worst about Johnson’s reversal is the hypocrisy inherent to his libertarian politics. Libertarians pride themselves on protecting individual liberties, yet Johnson has now said he would allow the government to make decisions for its citizens about what can or cannot be put into their bodies. Such a position would at least follow a certain logic within the socialist philosophies of Jill Stein, Bernie Sanders and Crooked Hillary Clinton, but not in the philosophy of a candidate trying to sell himself as the third-party, liberty-loving alternative to the two-party system. Yet he has heaped praise on the most prominent politicians of the political elite/progressive left while heaping smears on Donald Trump. Earlier this summer, Johnson called Barack Obama a “good guy” and Crooked Hillary a “wonderful public servant.” In contrast, Johnson said he could never support Trump because of “all the things he had said” – presumably including his remarks on vaccination. Johnson’s running mate Bill Weld was even more nauseating, calling Trump a “huckster” while describing a “bond” with Crooked Hillary. And in an apparent effort to pander to Bernie Sanders’ supporters, Johnson said he agreed with 73% of what the socialist senator says. The political divide characteristic of this election cycle is not between two-party and third-party candidates, but between the political establishment and Donald Trump. If the choice was not clear enough before, it could not be clearer now. Johnson would sell out your rights and require vaccinations while Trump has said he would push for safer vaccinations as president. Apart from the fact that Johnson has no realistic chance of becoming president anyway, the only candidate for whom a vote would truly be a vote for vaccine safety is Republican nominee Donald Trump. A vote cast for a candidate other than Trump is a vote that helps enable a Crooked Hillary win, and that would be the worst possible outcome of all. Despite Crooked Hillary Clinton saying “I believe in science” at the Democrat Convention, yet more information emerges confirming she does not. These days whenever someone invokes “science” to make a point, very rarely do they have any real scientific backing to their claims. A highly publicized UK survey used to allege autism prevalence was as high in adults as it is in children in order to disprove the autism epidemic has now been trashed by the same government that conducted it in the first place. When the United Kingdom conducted an adult prevalence survey, they learned valuable information regarding the needs of adults on the autism spectrum that has helped them craft and improve services. Clinton will instruct the CDC to conduct the United States’ first-ever population level survey of adults on the autism spectrum. The United Kingdom in fact conducted that study and found a comparable rate of autism in adults as in children. We should be doing that here, and regardless of the result we would gain valuable information on supports for autistic adults. Ne’eman’s group was among the organizations that advised Crooked Hillary’s campaign on autism policy. His group subscribes to “neurodiversity” – an emerging movement seeking to normalize autism while generally diverting blame towards society for autism’s problems. 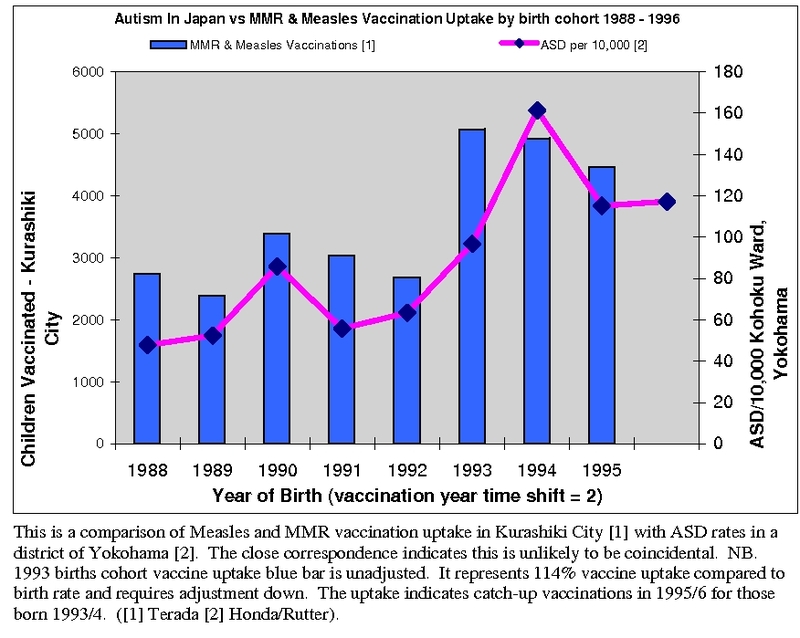 Key among such beliefs is that autism’s huge rise as a result of vaccination is not real and that autism was simply ignored in the past, a position happily legitimized by Crooked Hillary and her crooked, vaccine injury-denying campaign. Ari Ne’eman has now announced plans to formally step down as head of ASAN in December, perhaps in anticipation of a cozy spot within Crooked Hillary’s administration should she be elected president. We must do all we can to ensure she does not win by voting for Donald Trump, who acknowledges that vaccines cause autism, pledges to end the autism epidemic and will Make America Great Again! Apparently prompted by The Decemberists frontman Colin Meloy as well as that defamatory, bankrupt excuse for a blog known as Gawker. But apparently, Gawker caught Stein in the act of deleting a previous tweet where she repeated the common lie that there is “no evidence” linking vaccines to autism. So the Green Party’s official Twitter account swooped in to save the day. Even though the pressure is much higher in a televised debate than it is on Twitter, Donald Trump didn’t backtrack or require saving by anyone in his own party. Jill Stein? Not so much. Thinking of going Green this election cycle? Think again. Her comments are not entirely surprising for someone who invited Bernie Sanders to take over her own presidential ticket. Sanders has said the evidence against a vaccine-autism connection was “overwhelming” and criticized GOP nominee Donald Trump for acknowledging a connection. In stark contrast to both Stein and Sanders, Trump is very aware of evidence for a connection that they won’t acknowledge exists – bringing out the issue not only in his tweets but also in a presidential debate for the very first time and continuing to speak out on the campaign trail as recently as four months ago. Trump has been outspoken about the issue for years long before running for president. The choice in this election could not be clearer. Crooked Hillary Clinton mocked skepticism of vaccines and proclaimed in her nomination speech, “I believe in science,” to imply Trump does not. Also this summer, Libertarian Party nominee Gary Johnson called Barack Obama a “good guy” and Crooked Hillary “wonderful” – in stark contrast to saying he could never support Donald Trump because of “all the things he had said”. Even more nauseating, Johnson’s running mate Bill Weld described having a “bond” with her. Of course, voting for a third-party candidate is basically the same as not voting at all and letting Crooked Hillary win anyway. Even still, there is only one candidate on the right side of this issue and his name is Donald Trump. Puerto Rican-American television actor Esai Morales who played a Latino President on an HBO series told TMZ that he is considering a vote for Donald Trump. Morales’ reason? Trump’s suggestion that autism is caused by vaccinations, which Morales had spoken passionately about at an autism summit that was held last year. At Give Autism A Chance 2015, Morales participated in a panel discussion that included former GOP congressman Dave Weldon and which was moderated by much-maligned British doctor Andrew Wakefield. There Morales took a very strong position both that vaccines cause autism and that this fact continues to be covered up by the federal government. He was also fully aware of the government scientist Dr. William Thompson who has spoken out about his colleagues hiding data, which Donald Trump has tweeted about. Crooked Hillary Clinton, in stark contrast, takes the position that questioning vaccines is akin to questioning the color of the sky and the shape of the earth. Her running mate signed into law the mandate of an STD shot for sixth-graders and the now-disgraced chair of the Democratic National Committee said “any risk” from childhood vaccines has been “disproven”. She’s now an “honorary chair” of Crooked Hillary’s campaign. On vaccines, Crooked Hillary’s position could not be more different than Donald Trump’s. Esai Morales told TMZ he was initially resistant to the idea of a Trump presidency, but would reconsider “because of his stance on vaccines”. The actor even hinted at a possible future endorsement, despite stopping short of one during the interview. Morales’ reconsideration would come as no surprise to anyone in attendance at the 2015 autism summit he expressed his outrage to, although he agreed with his interviewer that being Latino and supporting Trump was “odd”. Nonetheless, polls and rally turnout both suggest otherwise. In fact, Trump outperforms the two previous GOP nominees for support among Latinos in the latest polls. And in the Republican National Convention which Autism Investigated live-streamed, signs reading “LATINOS PARA TRUMP” were common among the audience. Autism Investigated also witnessed firsthand numerous Latinos among the large crowd of supporters who showed up at a recent Trump rally in The Woodlands, TX. By all indicators, Trump appears to have attracted Latino supporters rather than alienate them. Posted in: Fraud, Media, Politics, Science \ Tagged: andrew wakefield, autism, congressman weldon, corrupt kaine, crooked hillary, crooked hillary clinton, dave weldon, debbie wasserman schultz, democratic national committee, disgraced debbie, dnc, donald trump, dr. andrew wakefield, dr. dave weldon, dr. william thompson, esai morales, give autism a chance 2015, gop, gop nominee, hbo, hillary clinton, latinos para trump, make america great again, polls, presidential election, presidential endorsement, presidential race, republican national convention, republican party, republicans, tmz, trump rally, trump train, vaccines, video, whistleblower, you're fired!